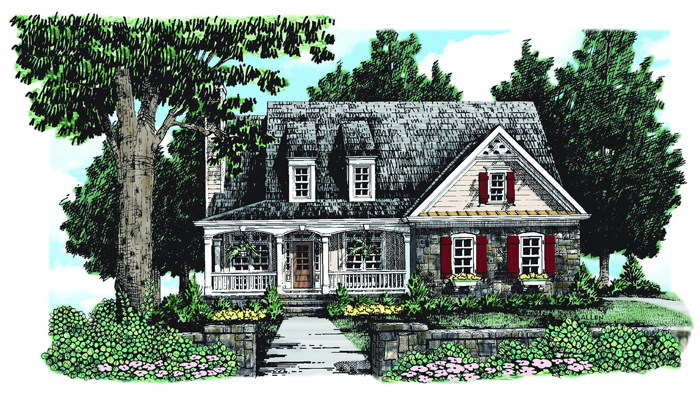 Many times, good things come in small packages and this delightful, cottage style Southland Custom Homes plan is no exception. Graceful arches supported by large porch columns show the attention to detail. 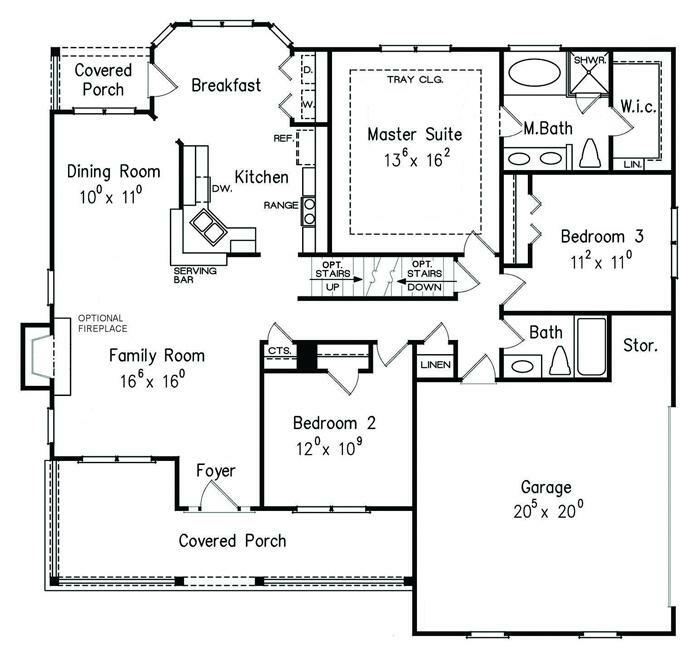 You'll marvel at the amount of space available throughout this design and find the unique breakfast bar quite a clever idea. A french door accesses the rear porch from the sunny breakfast room where the laundry area is conveniently located. After the kids are tucked into bed, you can find respite in your comfortable master suite with tray ceiling and well appointed master bath. *Please Note: Stone, Stucco, Brick, and Fireplaces are optional.